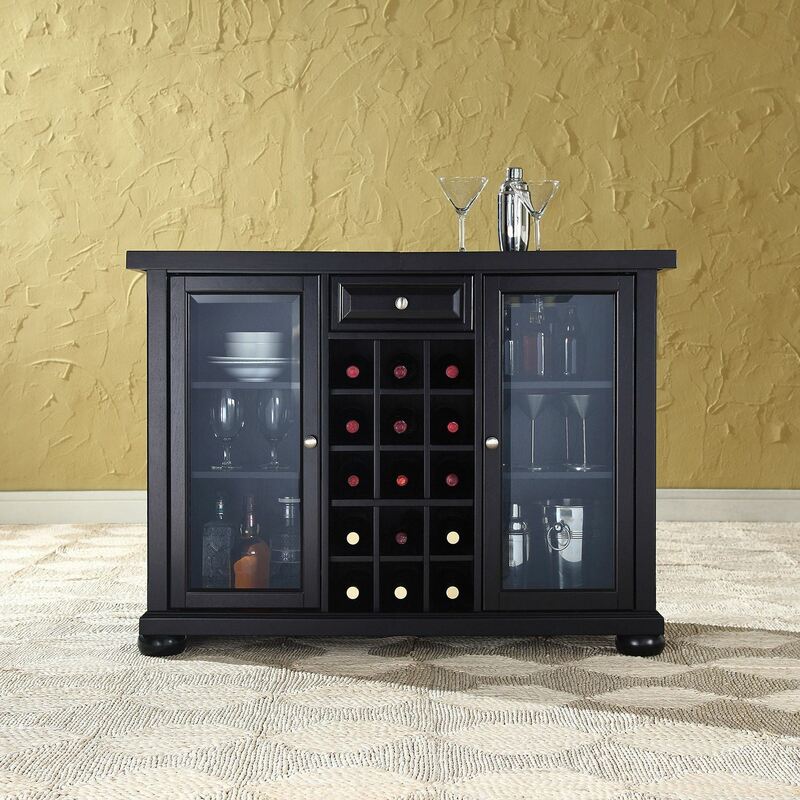 Elegantly entertain guests with this sliding top bar cabinet constructed of solid hardwood and wood veneers. The beautiful beveled/tempered glass doors and raised panel drawer front are classically styled to enhance any home decor. 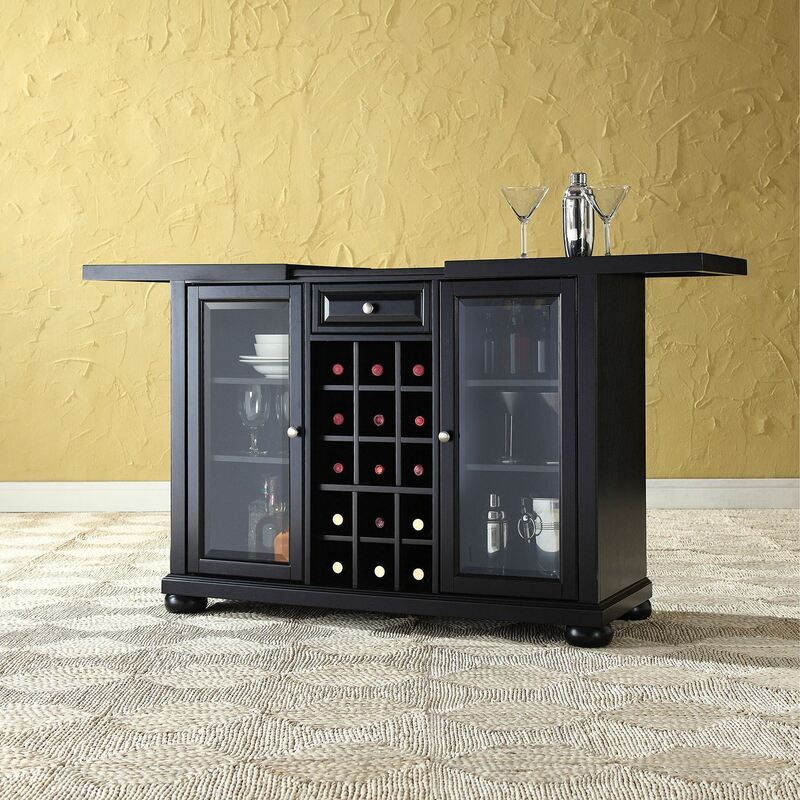 The sliding top expands to greatly increase the size of your serving area. Behind the two doors, you will find adjustable shelves and plentiful storage space for spirits, appliances and other items that require additional space. 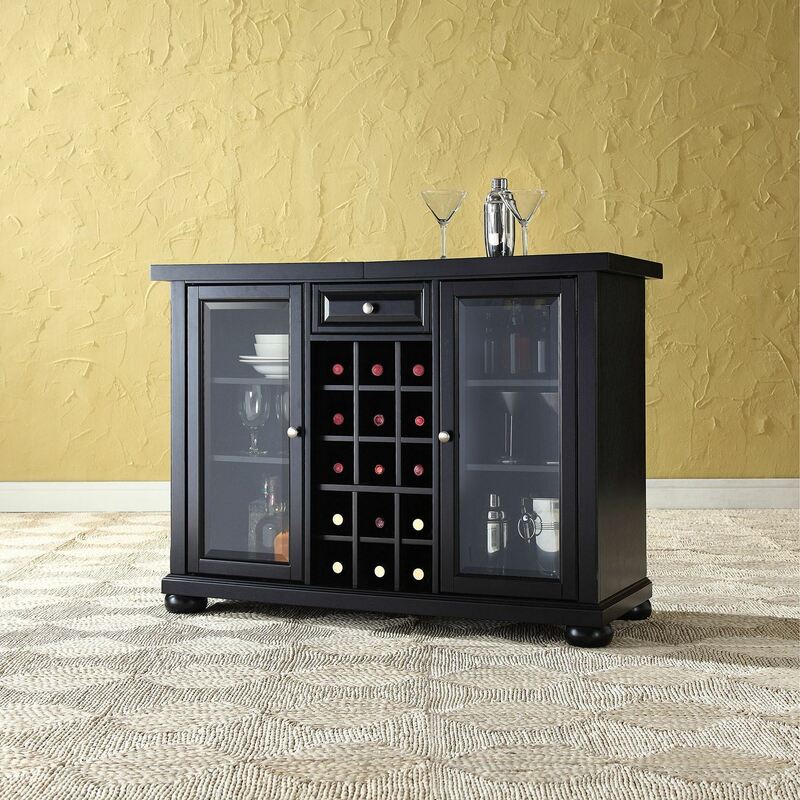 The center storage area is great for up to 15 bottles of wine, or if you prefer, remove the wine storage cubes to reveal an adjustable shelf. 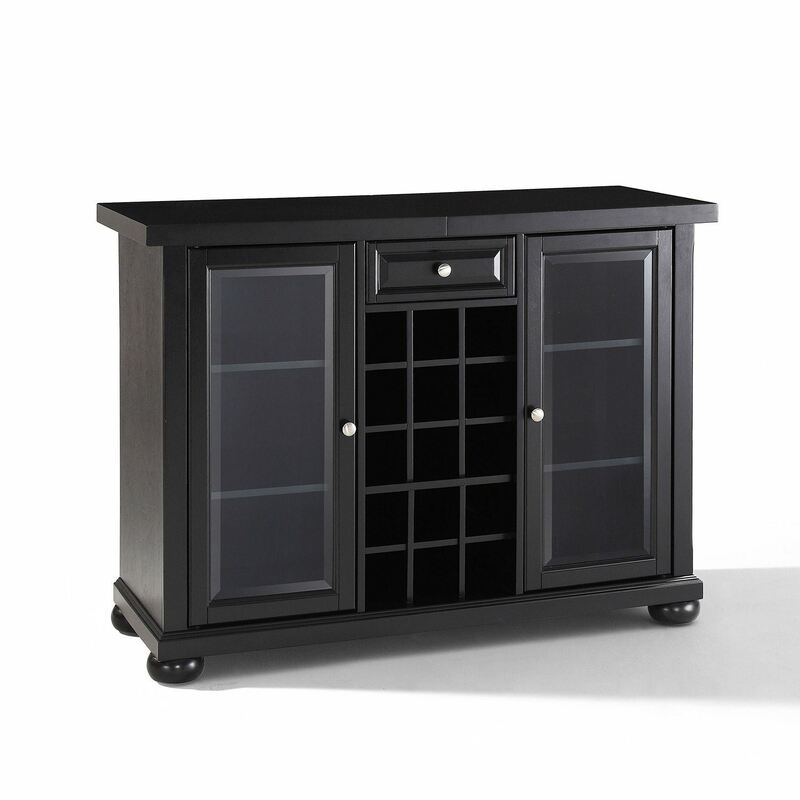 Style, function, and quality make this sliding top bar cabinet a wise addition to your home. Beveled / Tempered Glass Doors. Plenty of Room for Storing Barware & Spirits. 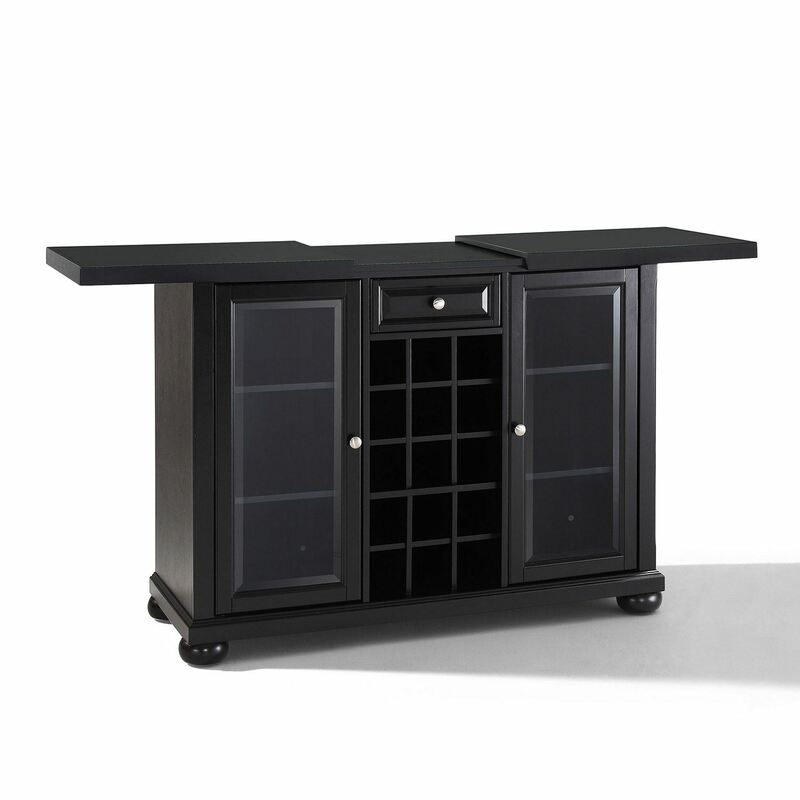 Doubles as a Serving Station when Entertaining.